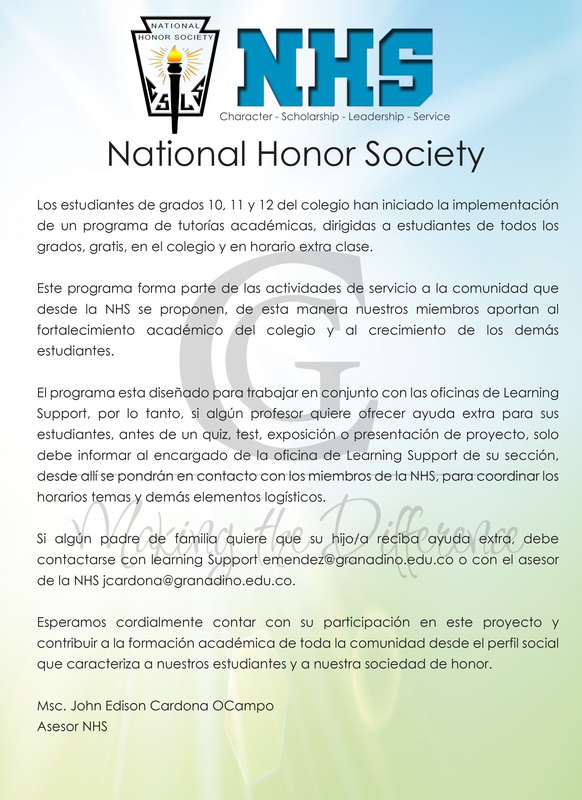 The National Honor Society (NHS) is the nation’s premier organization established to recognize outstanding high school students. More than just an honor roll, the NHS serves to honor those students who have demonstrated excellence in the areas of scholarship, leadership, service, and character. These characteristics have been associated with membership in the organization since its beginning in 1921. 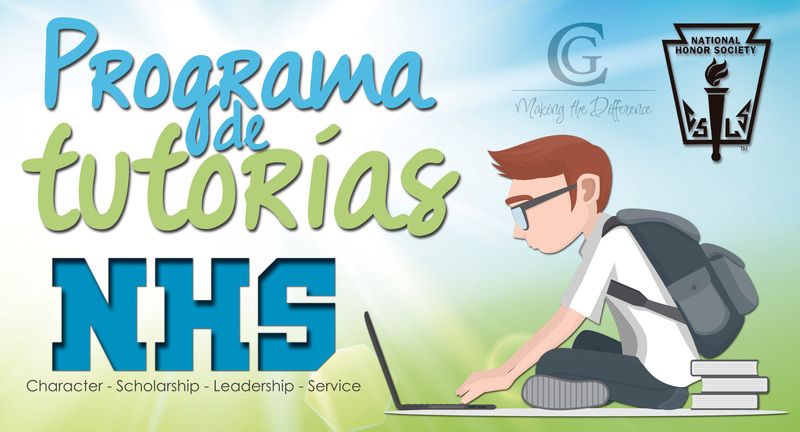 Four main purposes have guided chapters of the NHS from the beginning: to create enthusiasm for scholarship, to stimulate a desire to serve, to promote leadership, and to develop character in the Granadino students. These also translate into the criteria used for membership selection in each local chapter.